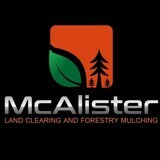 McAlister Land Clearing uses Tier 4 EPA equipment. Our goal is environmentally friendly land clearing with minimal disturbance to top soil, leaving mulched biomass for erosion control and returning valuable nutrients to the earth. Upon leaving the Marines in ’88, Randy Cyr started Cyr’s Tree Service in Jacksonville, North Carolina. Logging and gardening with his father in the Maine North Woods gave him his passion for trees; studying Arboriculture at Lancaster University and Natural Resource Conservation at the University of Maryland, the education he could draw upon. It wasn’t long before Randy distinguished himself as the area’s first Certified Arborist, as well as enjoying the sole endorsement of Mayor George Jones and Sheriff Ed Brown. Randy would go on to become an ASCA graduate, a Tree Risk Assessor, a Tree Appraiser and the Upstate’s first Master Arborist. In the fall of ’96, when many Upstate tree services were cleaning up the remnants of Hurricane Fran in the Old North State, Randy moved his company to Greenville, South Carolina (leaving behind his tree removal equipment), and changed its name to Greentree, to reflect its new direction. A family owned and operated tree service that provides professional quality and excellent customer service for all of your tree care needs. At High Country Tree Service, we care about trees. 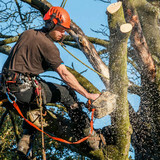 We have built a reputation as one of the most respected names in the business providing complete tree care services. Our staff is the best in the business and has hundreds of years of combined experience. We have ISA Certified Arborists, ISA Certified Tree Risk Assessors, and a long history of crew and property safety. Our equipment is state-of-the-art and radio dispatched for immediate response. The company fleet consists of several aerial lift trucks, chippers, chipper trucks and stump grinding machines as well as various pieces of machinery for right of way work. Our reputation speaks for itself. We have served hundreds of customers throughout Brevard, Asheville, Highlands, Biltmore, Cashiers, Flat Rock and surrounding areas. We maintain the highest level of customer satisfaction. The vast majority of our business comes to us via referrals from past customers. The highly skilled tree doctors at McAllister Tree Service have 23 years of experience in residential and commercial tree work. 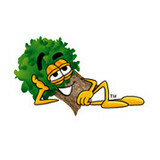 They are ISA certified arborists and ISA certified tree climbers. They also carry both a milllion dollar liability policy and a million-dollar workers comp policy. That's how much faith we have in our team members. They are able to get to the root of your tree problem and advise you on proper tree maintenance. Fully trained, licensed and insured, our tree surgeons arrive on time and fully equipped (bucket truck, chipper, crane truck, lift,etc.) to get the job done right. For more information about how McAllister Tree Service can help you, contact us in Cornelia today. Hire us for all your tree services! Alpine Tree Service is a locally owned business that specialized in the art of tree climbing to perform a wide range of high quality services. At Alpine we know that no two jobs or customers are the same. This is why our owner, Nick Lewis, makes the time to meet with each and every one of our clients to hear and address the specific needs and concerns of each one. We are so dedicated to delivering the very best in value and customer service that 75% of our business comes from customer referrals. At Alpine Tree service, we practice the most up-to-date standards in the tree care industry and specialize in making your trees look their best. We perform high quality work for our customers and know that you will appreciate the fact that we offer free quotes and are insured. We show up on time, call you back, do what we say, and don’t get paid until you are 100% satisfied. We know it’s a little different than what you are used to but give it some time and we think you’re really going to like it. Taking care of trees is not just what we do, it is what we love. At Alpine, we pride ourselves in providing our customers with the very best in quality and service. Are you looking for an experienced specialist to provide you with a tree service for your property? If so, then you need to contact our specialists. Mendoza Tree Expert has been in the trade for a long time, and we can make sure that your trees are always looking their best. 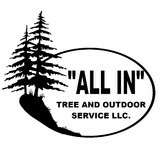 We are a tree care company based in Franklin, NC, and we serve all of the surrounding areas. Our team is made up of professional experts who have been in the local industry for many years and are here to provide you with dependable services. As the leading company around, we will offer you affordable prices, so be sure to give us a call. Campbell's Tree Service, LLC is a veteran-owned and operated company. Kevin Campbell, a former member of the 3rd Ranger BN, a special operations unit at Fort Benning, GA and Certified Arborist ISA #SO-6300A provides professional tree services to residential and commercial properties in Jefferson, GA and the surrounding areas. We are proud of our good reputation in the community and have over 20 years of experience in the tree care industry. The majority of our business comes from referrals of satisfied clients and satisfied clients are our best asset. We have been in business since 1995 and perform tree maintenance services such as removal, stump grinding, trimming, pruning, arborist reports, storm clean-up, cabling/bracing and deep root fertilization. Trees are valuable assets to any property so be very careful who you choose to take care of them. We are licensed and carry liability and workers comprehensive insurance which is essential in our business. We love Brevard, NC and we love land and tree service work: Fuller Land & Tree provides specialty services of tree removal, gaffless pruning, planting, hardscapes, landscape design & installation, & water features in Brevard & the surrounding areas. We enlist a variety of certifications to ensure everyone’s safety, and we take pride in knowledge of living trees & their natural requirements to stay healthy: cutting a tree is not the hardest part, but keeping it healthy to provide a beautiful scene requires service with care. John Waldrop And Son Tree Service offers a variety of services to help our residential customers maintain beautiful, healthy trees and shrubs. Our local arborists are experts in diagnosing and treating problems to help protect your plants as well as your landscape investment. Schneider Tree Care offers a variety of tree services, including fertilization, pruning, tree removal, lightning protection, and insurance appraisals. We have over 18 certified Arborists in Greenville, Charlotte, and Charleston to provide you with the best solutions for your unique needs. Your Pendleton, SC tree service professional or arborist might work in conjunction with another landscape professional to create a seamless landscape design. Here are some related professionals and vendors to complement the work of tree services: Landscape Contractors, Landscape Architects & Landscape Designers, Garden & Landscape Supplies. Find tree service professionals on Houzz. Look in the Professionals section under Pendleton, SC tree services. You can look through portfolios and read reviews to see what past tree care clients have to say.